The 5th national Swedish conference in Palliative Care was held in Stockholm 21-22 March 2018. The conference is of interest for all health care professionals working in palliative care, regardless of context of care and disease. The theme of the conference this year was ”the palliative approach”. 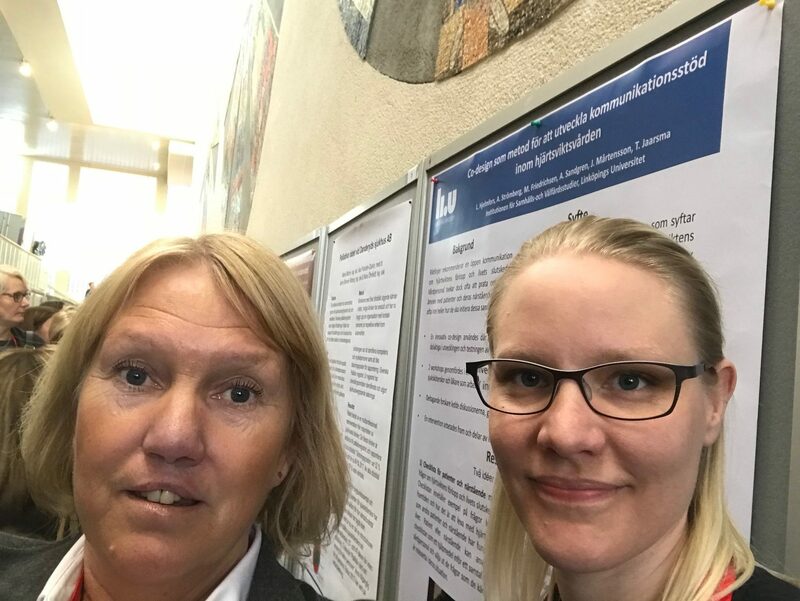 Two Cesar members presented at the conference. Dr Maria Liljeroos had an oral presentation entitled To live with a person with heart failure, the time before and after the death. 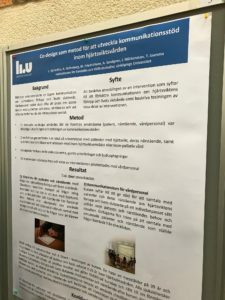 PhD student Lisa Hjelmfors had a poster presentation with the title: Using co-design to develop an intervention to improve communication about prognosis and end-of-life issues in heart failure care. 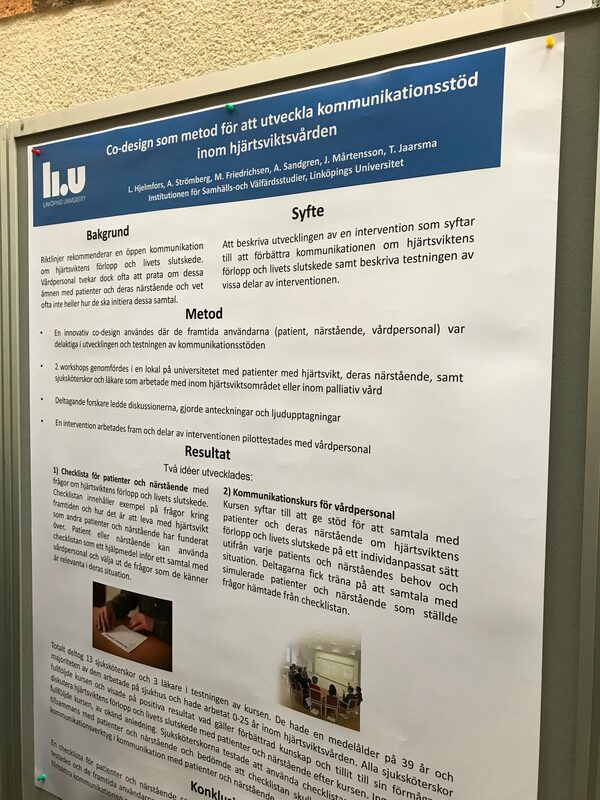 The poster described how co-design was used as a method to develop communication tools, and invited the users: patients, family members and health care professionals to be constructive participants in both the design process and in the testing of the intervention. A Question Prompt List for patients and family members and a communication course for health care professionals were developed and tested, and the communication tools can be valuable in improving communication in HF care about prognosis and end-of-life care. The next national Swedish Palliative Care conference will be held in 2020.